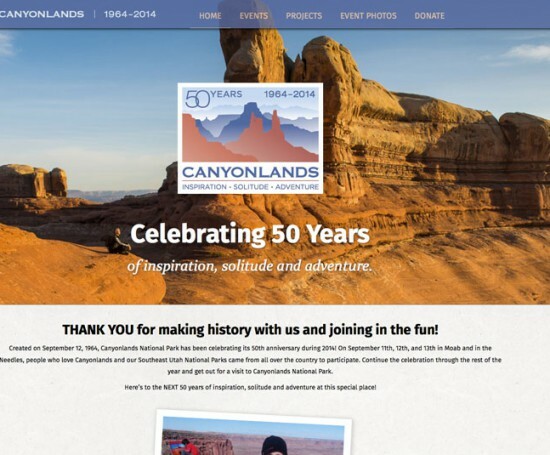 September 2014 marked the fiftieth anniversary celebration for Canyonlands National Park. 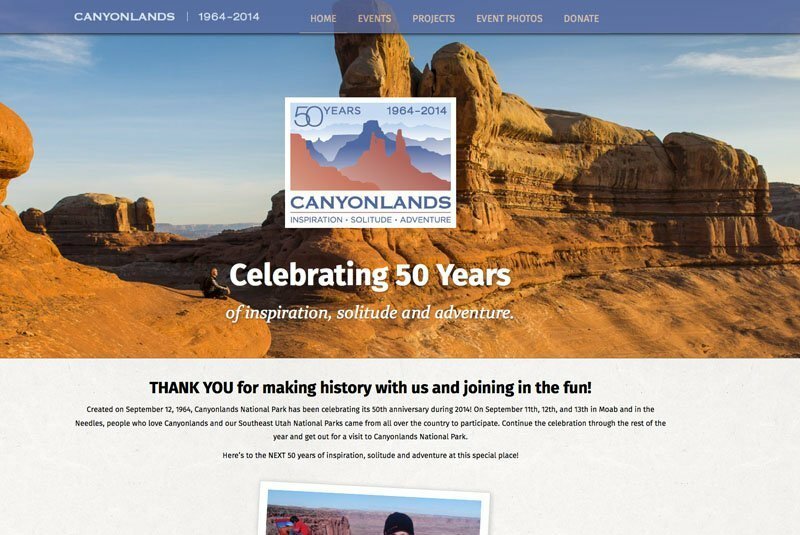 The website was originally well designed and built using Cold Fusion by developer Neal Herbert. The organization needed to make more frequent updates then that system allowed, especially as the event neared. 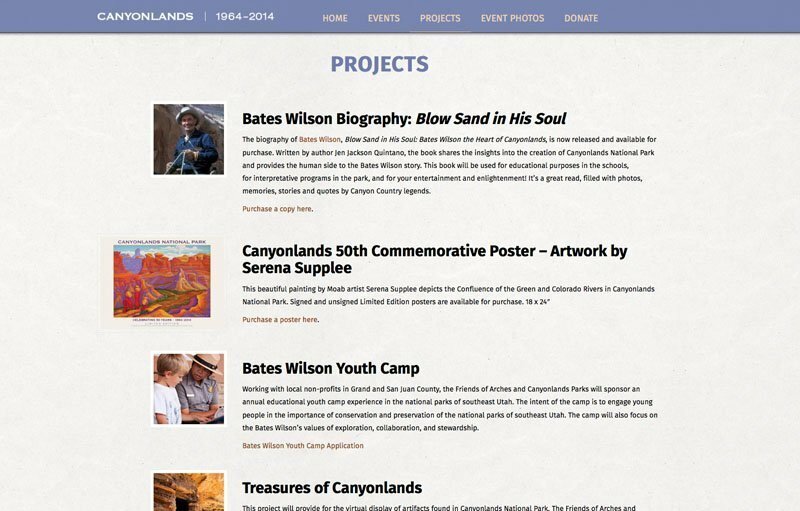 I converted the design into a WordPress site retaining most of the look but expanding the navigation and mobile screen responsiveness. 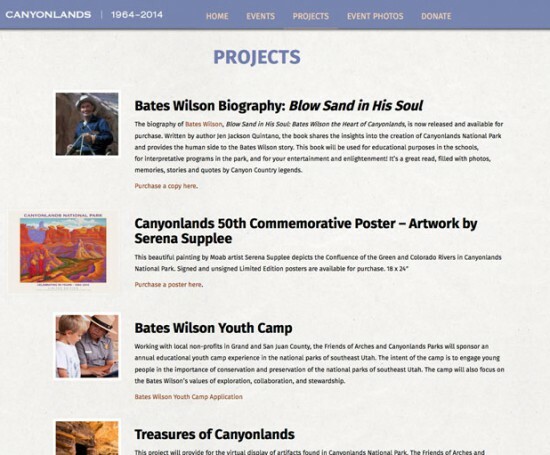 Back-end layout options were also added.